The new ultra model stands beyond the regular Chrome cast. Its power makes it stand out. The main difference is 4k view. 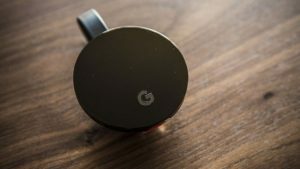 I have tried out the Chromecast Ultra and i loved it. Thought i use Apple Tv now but still Chromecast will always be my first choice. So let’s jump into the review. Ultra high definition (UHD or 4K) video is the main feature that stands out the Chromecast Ultra above the regular Chromecast. 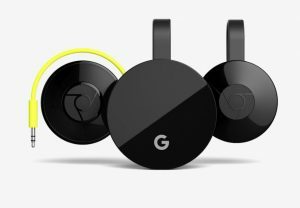 Chromecast Ultra can output video streaming is 3,840 by 2,160, while the regular Chromecast is very much limited to 1,920 by 1,080. That’s four times as many pixels and the new standard for the latest original shows on HBO & Netflix. You will be able to enjoy the shows at 4K. And nothing beats the fun of 4k views. Alongside the just the HD resolution, the Chromecast Ultra also supports high dynamic range (HDR) video. HDR video has more pixels than standard 1080p video, but each pixel cover a wider and more granular range of color and light output. If you have the 4K tv then you will get the real fun. Now ultra gives you some ultra powers. You can directly put your Ethernet cable into the chrome cast which ensures the fastest internet compared to wifi streaming. Streaming video is pretty reliable over Wi-Fi if you have a good router, but a wired connection ensures, even more, speed and reliability, and that can be the key between whether Netflix actually sends a 4K HDR signal to your television or whether it throttles down to 1080p because it thinks that’s all your network can handle. If you don’t have a 4K television, the answer is a straight NO. It’s really useless for you then. If you do have a 4K TV, especially one that supports HDR, then go ahead and upgrade now. As the Chromecast Ultra is more powerful and supports better video HD quality, but its bit pricey but it’s worth it.